Dr. 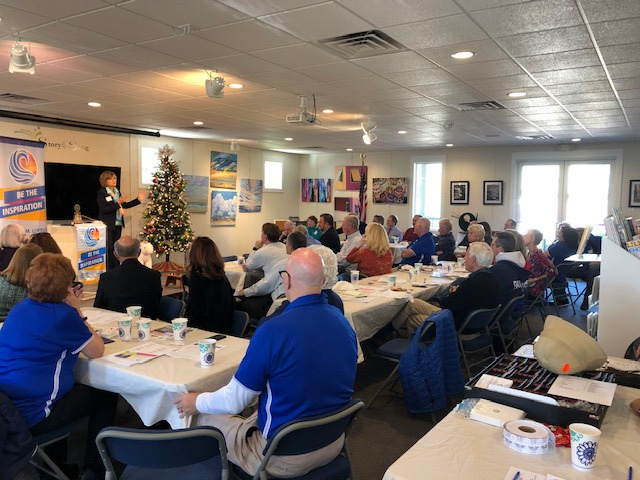 Page lead the club singing a patriotic song: "God Bless America" followed by "Country Roads" & "Rotary Bonds"
In attendance were 39 Club Members. 44 total attended the meeting. Visiting Rotarians: Michael Ellerbrock from George Town, TX (now living here on the Island) guest of Dennie Pendergrass. Visiting Guests: Maggie Calder, guest of Rotarian Roy Benson - Jillianne Wojay, guest of Rotarian Deb Connelly. 50/50 Jack Pot: @$170 - Rotarian Kris Meyer had the drawn ticket and drew the ACE OF SPADES!! WINS THE POT! 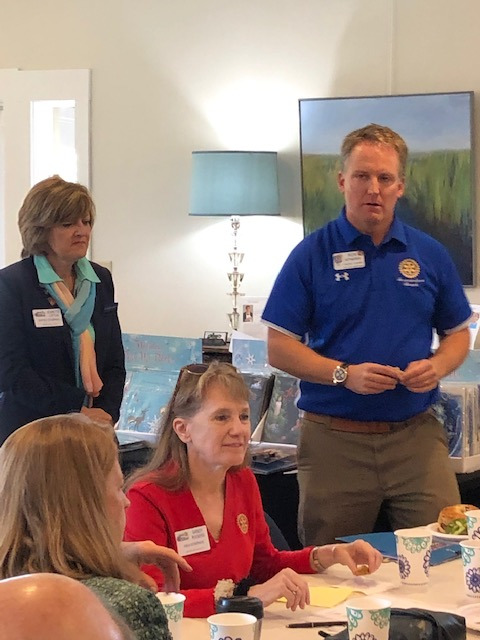 Rotarian Larry Melnick had some great preparatory trivia and information for our upcoming Annual Trivia Contest with Senator and Rotarian Aaron Bean in a few weeks. The Blood Drive is temporarily on hold until further notice. They are having maintenance issues with their busses and they have been taken off the road for now. John will announce when they will be back on line. Districts are the week of Feb 11, most likely nit at FBHS but I believe that depends on how well they do. Save the Date for Scholarship Luncheon: Feb 7, 2019. Collateral materials in progress. Expected articles for News Leader and other Media will be timed so as not to overlap. 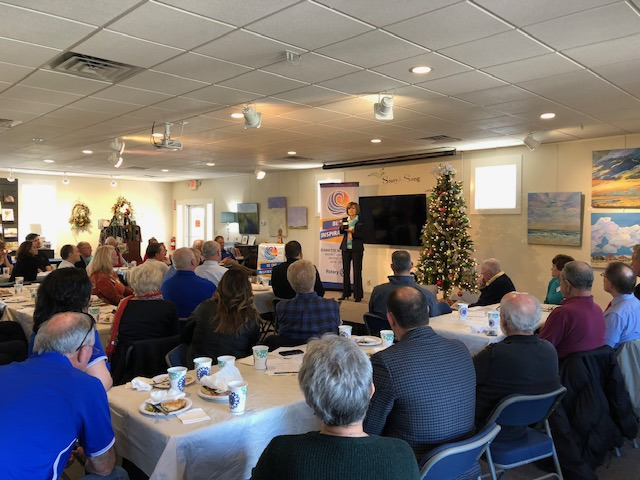 Save the Date for Volunteer Recognition Breakfast: April 12, 2019. Cards for Save-the-Date and Volunteer nominations expected by end of December. Holiday Adopt a Family: It appears Panhandle needs are being met. If no need arises within the next week, we will not plan to do that. All is going well for our club! December 15th, Rotary will be ringing the bell at Publix. A sign up sheet was distributed for "teaming up" with another fellow Rotarian. President Ron wants us all to turn our focus towards the Luncheon on February 7th, 2019 at the FBHS. With the Taste of Amelia behind us now, we are in great shape to add a significant amount to our Scholarship Fund. We are submitting to Wells Fargo Bank and Rayonier for a Grant to cover the expenses for the Dictionary.